AS Newcastle braces itself for the influx of tourists and visitors for the summer season,Sinn Féin Councillor Willie Clarke, has welcomed the additional cleansing resources during the summer period for Newcastle. Newcastle Councillor Willie Clarke has spoken out on a number of cleansing and maintenance issues along Newcastle’s seaside front as the tourist season arrives. Councillor Clarke said: “Following a complaint from visitors staying with a local tourism provider about the amount of litter strewn across our Main Street, Newcastle, in the evening time, I contacted the Director of Environmental Services at the Council to ask him for a review of the cleansing schedule within the existing staffing structures that could address the evening litter that accumulates in the evening in Newcastle. “I would like to thank the cleansing officers for ensuring a cleansing schedule is put in place to ensure the town is looking its best during summer months. This schedule will ensure extra cleansing personnel are on the ground in Newcastle during the summer months (mid-June to mid-September). “As well as our existing resources in the Newcastle area we will also be providing an evening shift of two staff who work a five day week from 12.15pm to 8.00pm. Their main role is to ensure the standard of cleanliness of Newcastle town centre by litter picking and emptying litter bins. 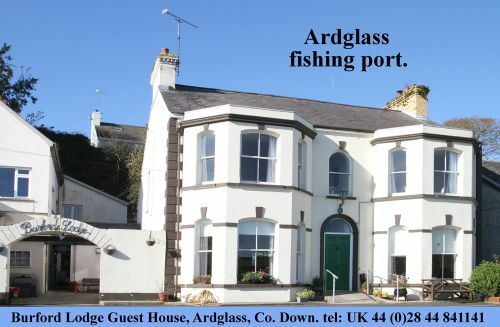 “They also cleanse all the tourist hot spots on the way into Newcastle including Twelve Arches, Dundrum Inner Bay and Dundrum car park. This means they arrive in Newcastle just as the normal cleansing staff are completing their shift allowing them to concentrate on street cleaning in the Main Street. 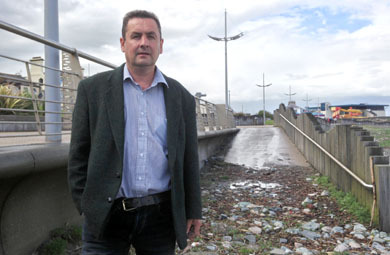 Councillor Willie Clarke has also requested Down District Council to carry out the necessary cleansing and removal of debris from the access to Newcastle Beach from Newcastle Promenade. He said: “There has been a build-up of sand and stones along the slipway on the shore which has accumulated over the Winter months. This has made it extremely hazardous for users, particularly for older citizens and mothers and toddlers trying to access our beach. “It is vitally important that Council does everything possible to make our residents and visitors experience as pleasurable as possible when visiting our Promenade and beach. As we work towards applying for Blue flag status for Newcastle beach, it is an essential component that the beach access infrastructure are fit for purpose. “The beach owned by Down District Council is cleansed once a day during the bathing season, this will not be adequate when we apply for Blue flag status. Council in future rates estimates will need to put in place adequate resources to cleanse our beaches to the standard that will be required,” added Councillor Willie Clarke.